Two Sheffield based designers have launched a Kickstarter in a bid to launch Sequence – a service which transforms albums into original artwork for the wall. 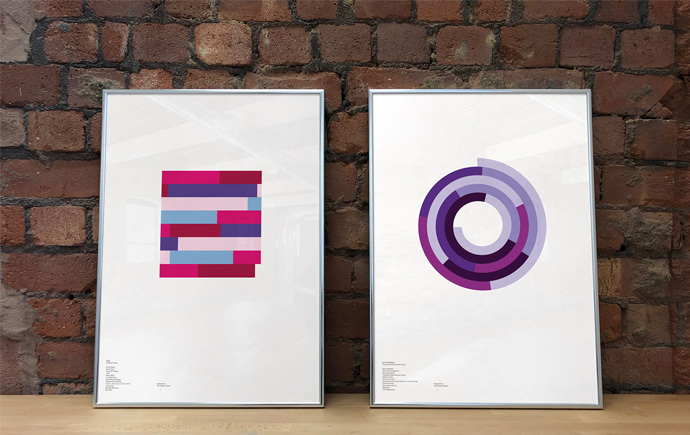 Sequence, launched by James Lowe and Alex Szabo-Haslam, turns any album into an original piece of art, with nine different colour schemes and two styles to pick from. Each piece of artwork is created with a printing process which utilises vibrant pigment inks, with light-fast archival qualities with the resulting print arriving in fine detail, with a life expectancy of 100 years on display. James and Alex need to raise £3,000. Pledge rewards start at £45 for a single A2 album or discography print, £80 for an A1 album print or discography, and several other price points available with multiple purchases. Produced limited edition prints that display the entire discographies of 36 well-known artists, including The Beatles, Wu Tang Clan, Aphex Twin, Madonna, Fleetwood Mac, The Prodigy, Michael Jackson, The Smiths, Prince, Beastie Boys, Nirvana, Daft Punk and Nine Inch Nails. What are your future hopes for the project? Find out more here www.sequence.store.